Liptauer cheese is a Hungarian cheese spread that goes so well with dark bread and crackers. 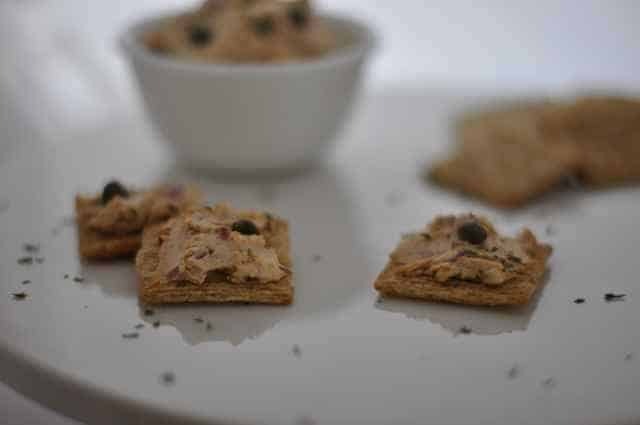 If you have never tried Liptauer cheese spread, this is a spicy cheese spread that makes a wonderful appetizer or even snack. It is also my offering for my this week’s recipe that is made with cream cheese. Liptauer is a unique cheese spread that can be made with a variety of cheeses, for example, it can be made with goat’s milk, sheep milk, or even cow’s milk cheese. For this recipe, we are using cream cheese, it’s easy to find, and since we are adding a lot of flavors to this cheese, I think this makes a wonderful base for this cheese. Traditionally this is served with toast, bagels, or even as a cold filling in dishes like stuffed tomatoes. Love cheese spreads? Be sure to try these tasty cheese spreads. Liptauer is a Hungarian inspired cheese spread. In a small bowl cream together cream cheese, butter, paprika, and anchovy fillet. Stir until the mixture is uniform. Add chopped capers, caraway seeds, and salt. This is better if you refrigerate for 4 hours or more before serving. I had this in a restaurant once, I always wanted to make it.